I love Hollandaise Sauce, but I never make it. I have tried numerous recipes. I have even had one on one lessons from a Chef. But nothing has ever really worked for me. No matter what method I try, I can only get a recipe to work maybe once, maybe twice but never again. 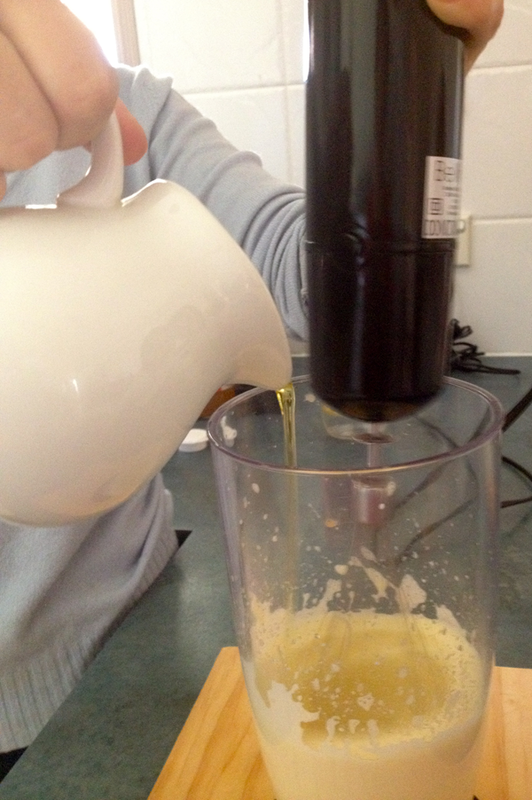 I have made a whole lot of acidic scrambled eggs, split oily concoctions & other major fails. I can be grilling salmon, assembling a salad & the Hollandaise is making itself. Now that’s my idea of cooking! You can choose to make your Hollandaise with apple cider vinegar or lemon juice, I prefer the vinegar as it makes it a little tart & cuts through the butter. 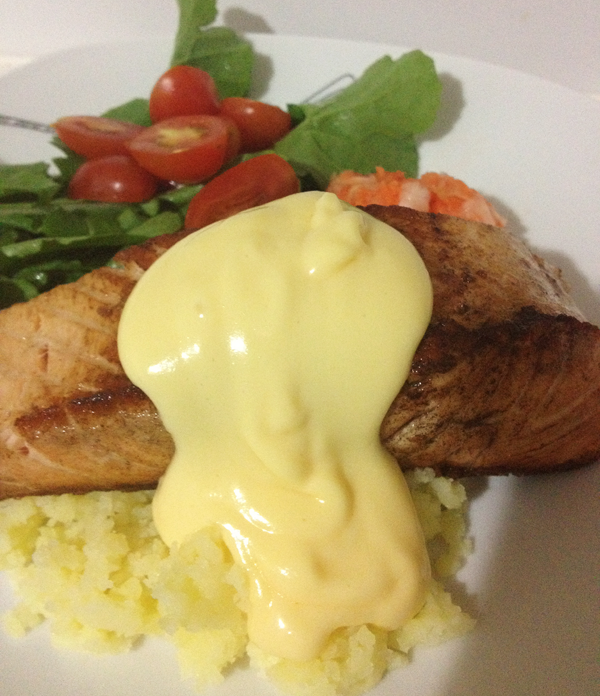 But,its all a matter of preference & lemon juice makes a more traditional Hollandaise. So here is the hard bit!! Are you ready?? Put all ingredients in your Thermomix & turn it on for 8 minutes at 90 degrees on speed 3. Sit back & wait for the Magic to happen. If you are worried about the high amount of butter in this recipe, never fear – butter is good for you! It not only tastes great & makes everything taste better it has a myriad of health benefits which can be read about here. Mayonnaise is a staple in our house, like flour & sugar are in others. We use it on everything & I do mean everything. We even dip our chips in it, as evidenced below – don’t knock it till you have tried it. 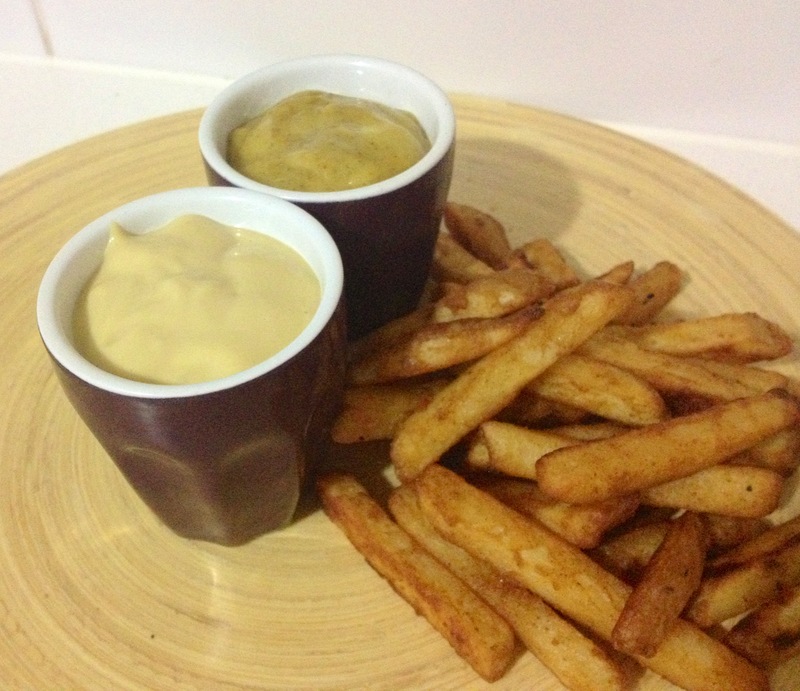 Crunchy chips & creamy mayonnaise……..yum! 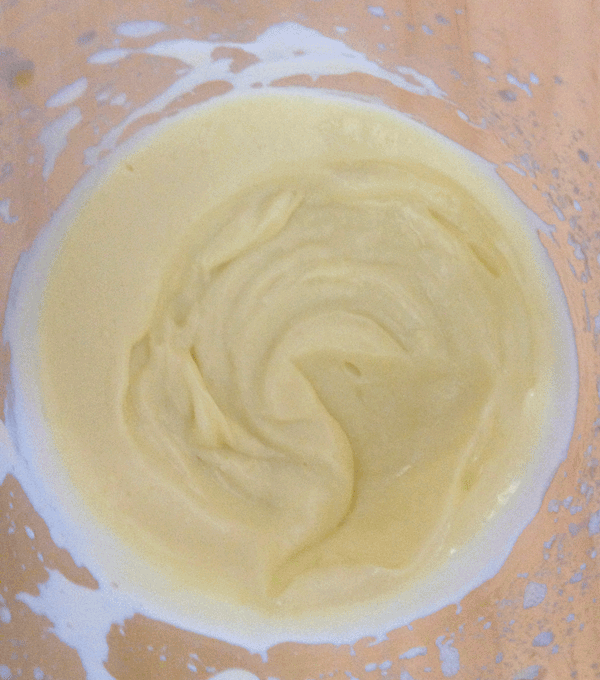 We make our own Mayonnaise using my homemade mayo recipe with 100% pure cold pressed extra virgin olive oil. While it doesn’t taste too great, it is much better for you than using vegetable oils which are potentially damaging to your health. So while our Mayo is healthy it does have a very distinct olive oil flavour – nothing like the creamy sweet artificial stuff you buy from the supermarket. Coming up with unique & flavoursome ways to hide the tart almost spicy flavour of the olive oil so that “Miss Two” will eat my Mayo is a constant battle but the below Mayo variations meet with her approval & mine! 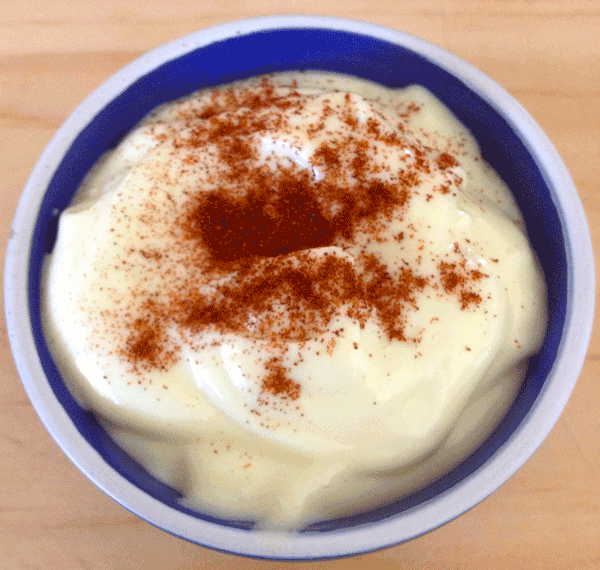 Adding honey to Mayo may seem a little strange but it helps to take the edge off the spiciness of the olive oil & make the Mayo smoother & less sharp – great for little people’s palates. 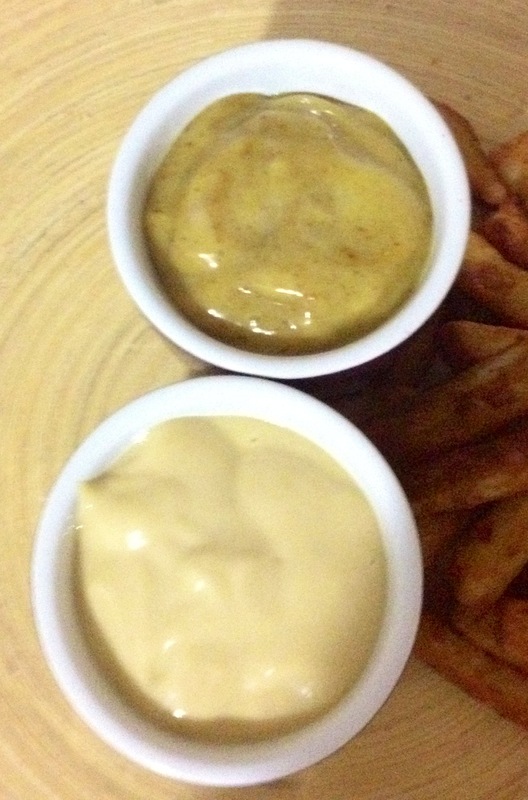 Take your plain Mayo & blend in the honey & mustard to taste. Take your plain Mayo & blend in all of the above to taste. 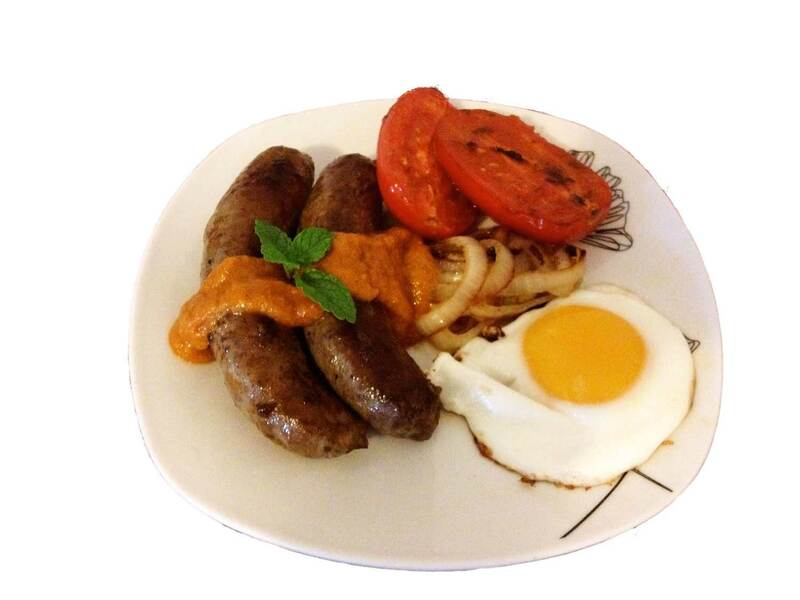 A good condiment can make or break a dish and when you decide to live outside the realm of processed foods with all their nasties, that eliminates a lot of your condiments. Mayonnaise; creamy, tangy, rich goodness that can be flavoured into a multiple of different creations to compliment just about any meal, is still on the menu!! While I realise this is no good for the vegans. For those of us who love our eggs it is heaven in a jar. And with two lovely fat red hens roaming the backyard we are pretty sure we are using contented little yolks in our mayonnaise. Now I know for you fat conscious folks that the list of ingredients below is going to make you balk, oil, oil, oil & lots of it. But research shows (despite what we have always been told), that we need saturated fats, our bodies simply can not function without them. So thats a whole lot of good reasons to slather home made mayonnaise on everything. And if that isn’t reason enough, your store brought mayo is full of trans fats that while giving it a long shelf life & creamy non greasy consistency also cause dysfunction and chaos in your body on a cellular level…….who needs that!! The healthiest oils recommended for making mayonnaise are extra virgin expeller pressed olive oil, seasame, peanut & palm oil. These oils have the best health giving properties and are less likely to contain hexane, which is a food-grade gasoline solvent (I kid you not!!) that is used to extract oil from most vegetable seeds around the world. Yuk! You will never look at your store brought jar of Mayonnaise the same way ever again! 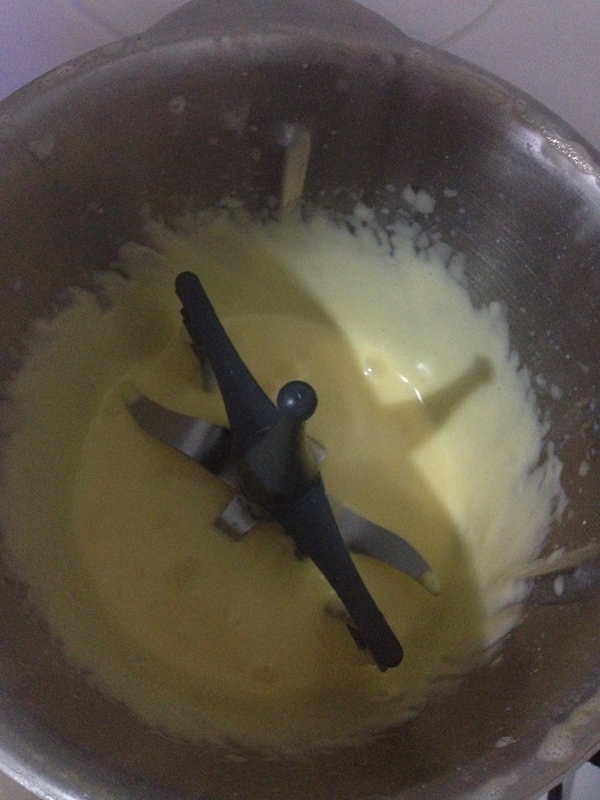 I love using my stick blender with the whisk attachment to make mayonnaise, but you can do this in a blender or with the normal stick blender blade attachment. Put vinegar & egg yolk in your bowl/jug. Beat till pale and creamy. Slowly add oil drop by drop at first until the mix starts to thicken then pour your oil in in in a thin constant stream. Once it has thickened up & you have added all the oil, you can add salt and pepper and a little honey to taste. If your mayonnaise is too thick, add more vinegar or citrus juice 1 teaspoon at a time till you achieve the consistency you desire. Extra virgin olive oil can be quite strong in flavour, so try out your oils first to see which one will make a mayo you will be happy with. You can even use infused oils as the base of your mayo by adding garlic, herbs or chilli to your oil several weeks in advance before you make your mayo. You can make a “Bazillion Variations” to this basic recipe, here are a few of our favourites. 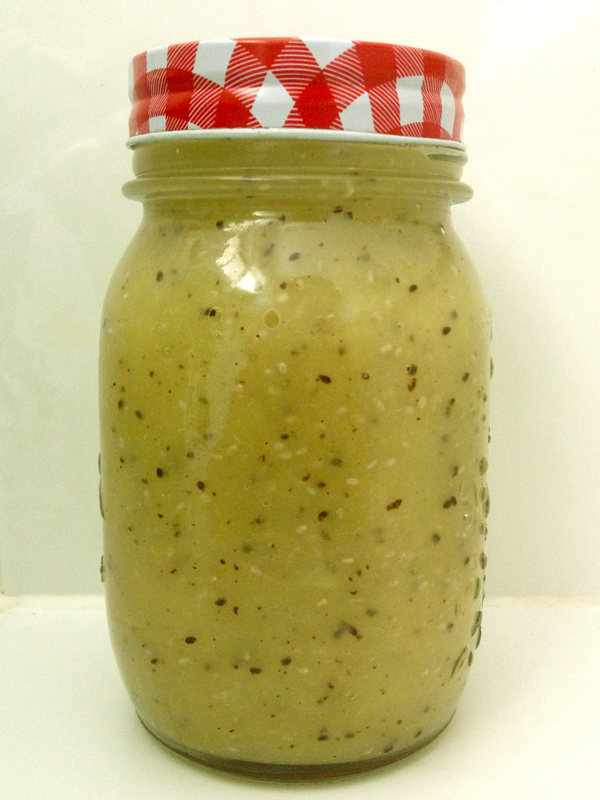 Honey Mustard – add more honey to taste & a few spoonfuls of your favourite mustard or mustard powder. Herbs – your favourite herb combinations can be used to flavour your mayo too. 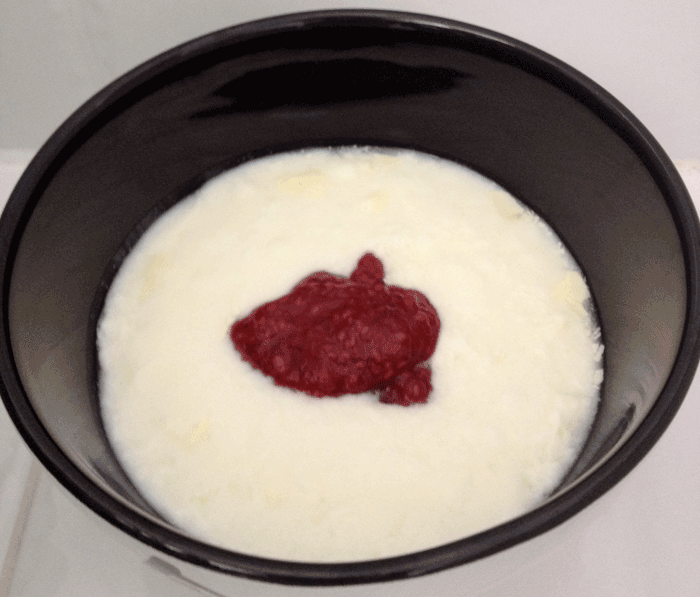 Wasabi – add a nice hit of horseradish or wasabi for a tangy mayo with bite. So get mayonnaise making & then slather that delicious creamy stuff on all your food. When we decided to go sugar free, I thought we had to kiss jam goodbye!! No more jam on toast, no more sticky sweet fruit confection to put ontop of our homemade yoghurt! That was until we started playing around with chia seeds, the little gems of goodness are not only super good for you, but they also work as a thickening agent so you can make 100% fruit jam without any SUGAR!! 100% pure fruit jam with no hidden nasties, no preservatives, thickening agents, flavour enhances, just 100% pure goodness and with the addition of Chia seeds you could almost call your jam a Super Food……..Almost. This jam is seriously good. The apple base makes it nice & sweet, the raspberries add gorgeous zesty flavour, the lemon gives it a tiny bit of bite & the mint gives the jam an extra fresh zing. You will find yourself eating it straight from the jar…. Peel & core your apples. Place the apples in a saucepan with the raspberries, lemon rind & water & cook over a low heat until the apples start to fall apart & are well cooked. Take the saucepan off the heat & add the washed mint leaves & blitz it in a food processor or with a stick blender. Once your apples & raspberry mix is smooth, add all the other ingredients & return to the saucepan to simmer slowly for another five minutes. Pour into your jars & leave on the bench to cool as the Chia seeds can take several hours to a day to swell & create the jelly consistency of your jam. 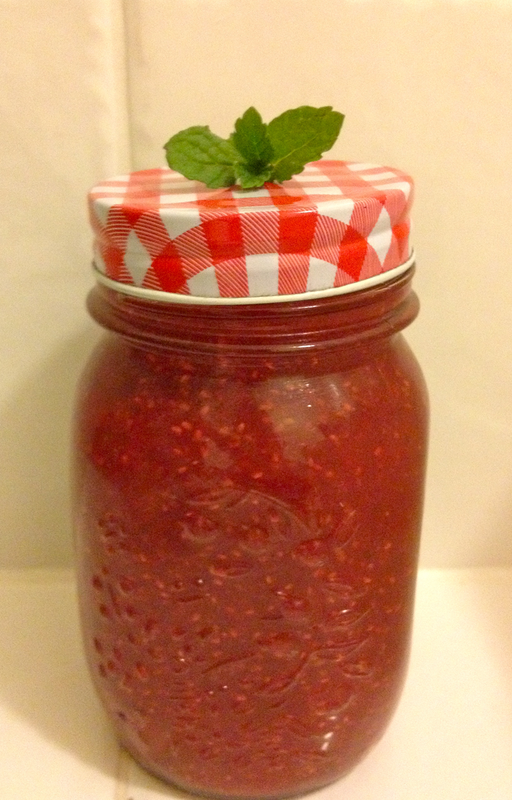 This jam not only tastes great, but with the addition of the Chia Seeds, I think its almost a Super Food!! Whats so Great about Chia Seeds? Super high in dietary fibre, making it great for digestion and healing digestion issues. They contain 20% Omega 3 ALA, making it a super food for the brain and heart. Chia has eight times more Omega 3 than salmon!